For Rob’s birthday in March, I told him I would buy tickets for a concert at Brooklyn Bowl because I think he would really enjoy this new venue at The LINQ complete with food, drinks and bowling. The concert space reminds me of the Showbox in Seattle, which we saw some fun shows at, so I thought it was a great gift! However, we haven’t been able to see any of the bands we like because of his weird shift work schedule, so we did a little birthday redo. He wanted to see the Book of Mormon, so I bought him tickets to that and surprised him with dinner before the show. 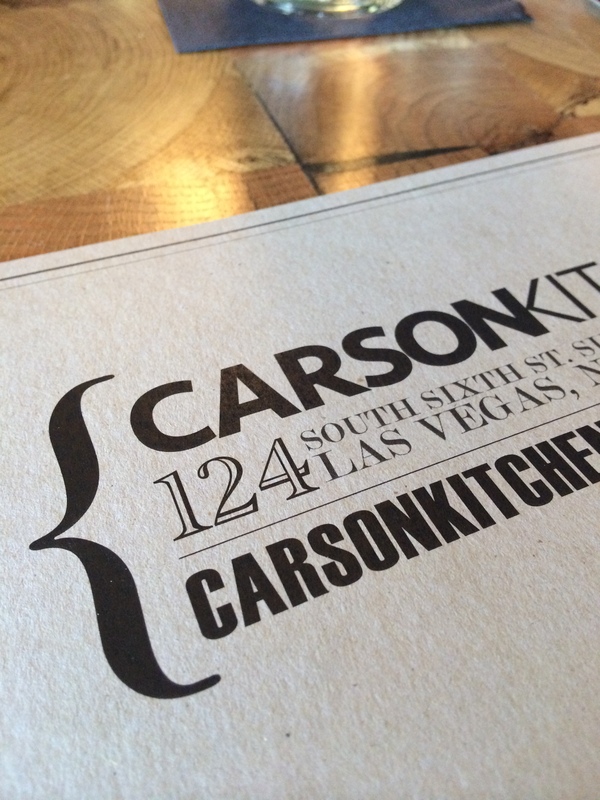 Carson Kitchen is a new restaurant in Downtown Las Vegas and had only been open for a day or two when we dined. 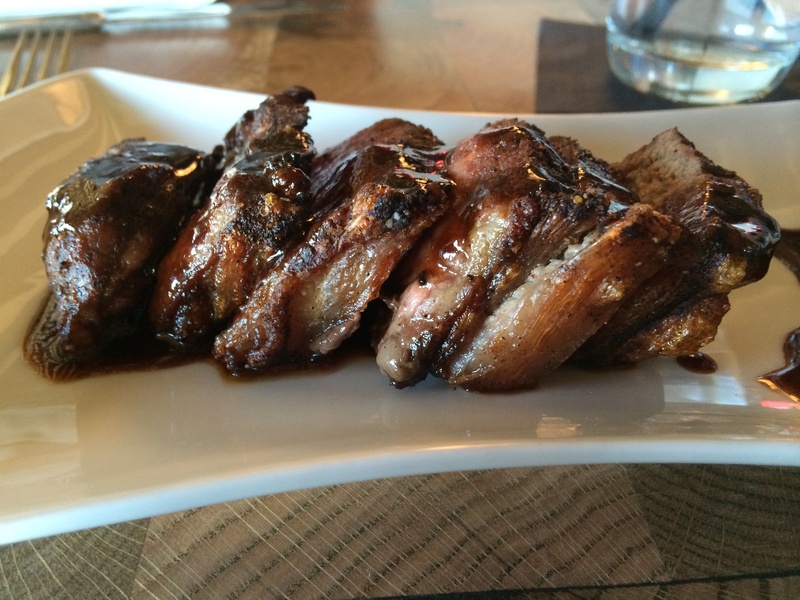 Everything was on point and is now one of our favorite Vegas restaurants. We started with the baked brie and bacon jam, which is served alongside a toasted baguette. The flavor was amazing and definitely unique! We also shared the veal meatballs in a sherry foie gras cream sauce. These sharable plates were delicious and something you can’t find anywhere else. I ordered the cocoa-espresso NY strip steak with red wine demi since I can’t say no to chocolate or espresso. Rob and I always play the “who ordered best” game and I definitely won this round. His swordfish was good, too, but it’s hard to beat this indulgent steak. 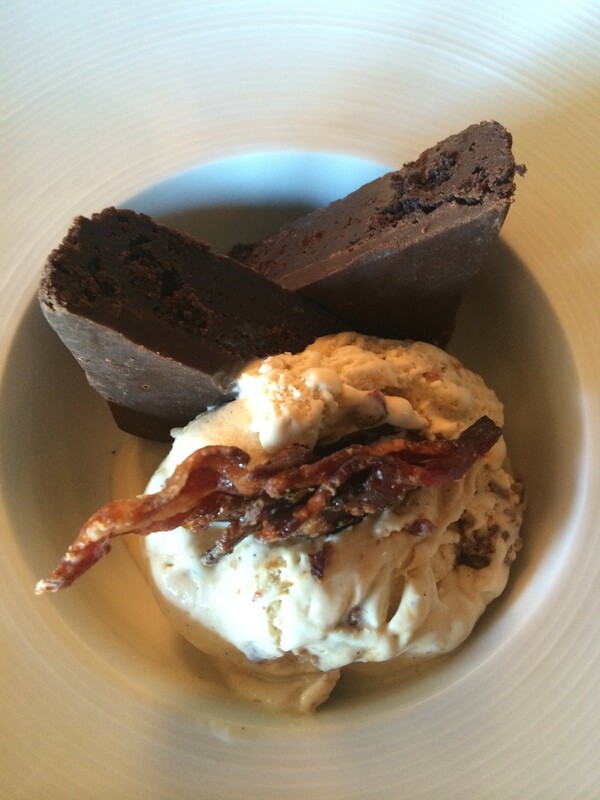 Throughout the meal I couldn’t stop thinking about the bourbon brownie I had seen on the dessert menu. 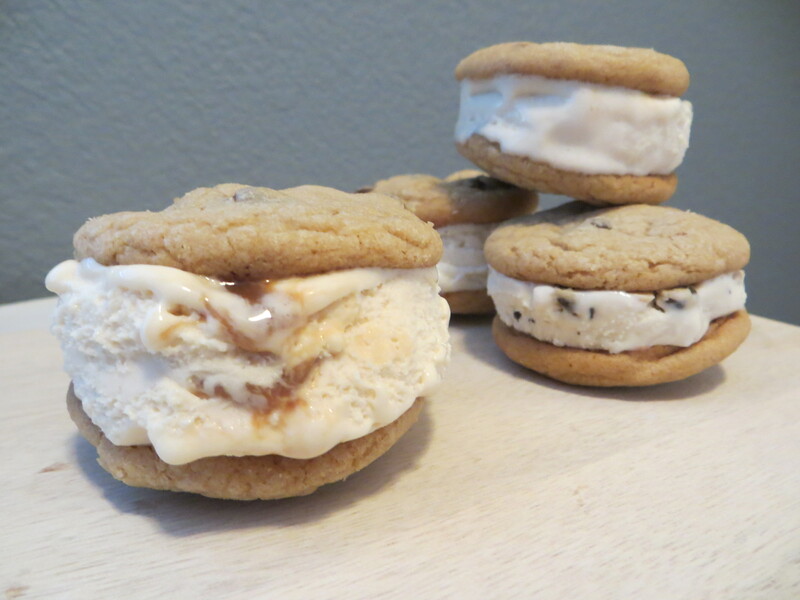 It is served with brown butter bacon ice cream, which was similar to a salted caramel flavor. The candied bacon added a little crunch and created that sweet and salty flavor that I love! 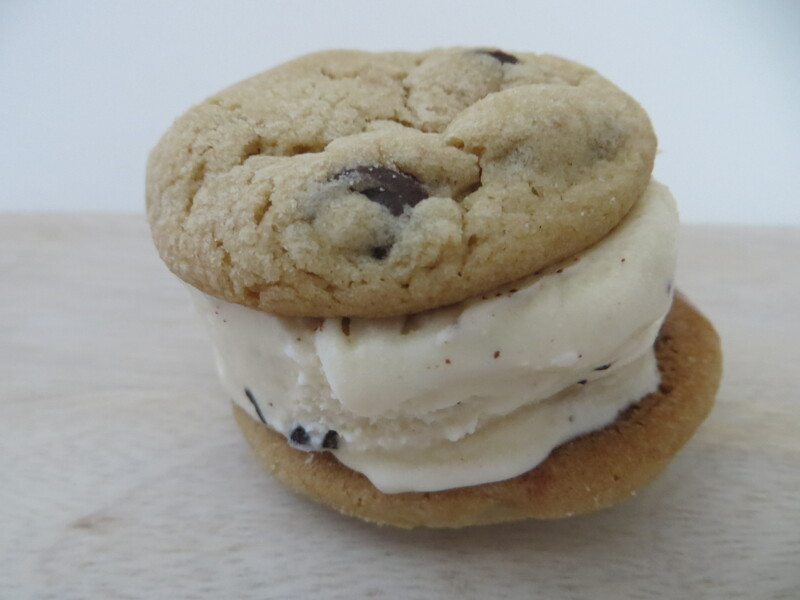 We will definitely try making this with our own ice cream machine soon! Since this first visit, I have been back for a girls’ night where we enjoyed the tempura green beans with pepper jelly cream cheese and baked truffle mac & cheese. Of course I also had to try the glazed donut bread pudding, which is made with doughnuts from the neighboring O Face Doughnuts. It was also amazing. The restaurant itself has a casual, neighborhood vibe that is enhanced with a rooftop deck adorned with festive strings of lights making it a great Downtown destination. TGIF! 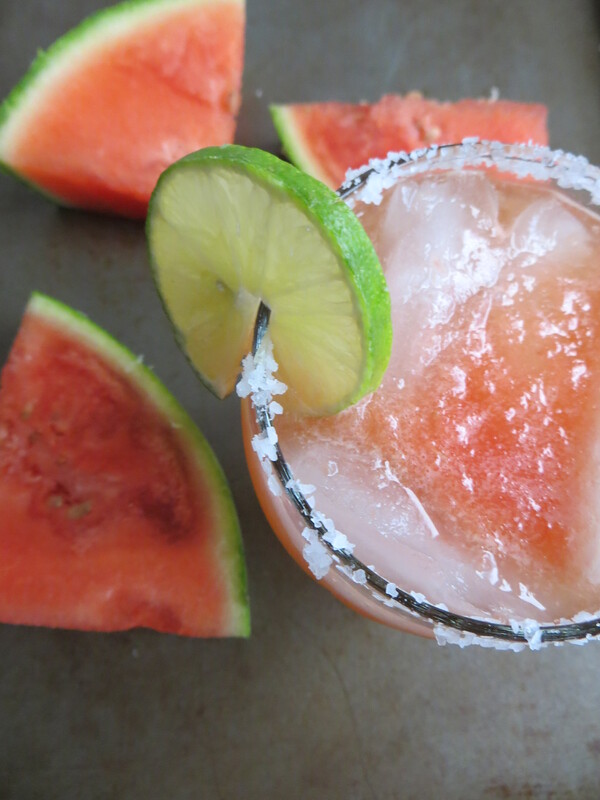 What better way to start the weekend than with a flavorful fiesta – and watermelon margarita?! Last weekend we grilled up some of our favorite eats and meats to have a fun, festive dinner. The meal was an afterthought to the watermelon margaritas I was excited to try. 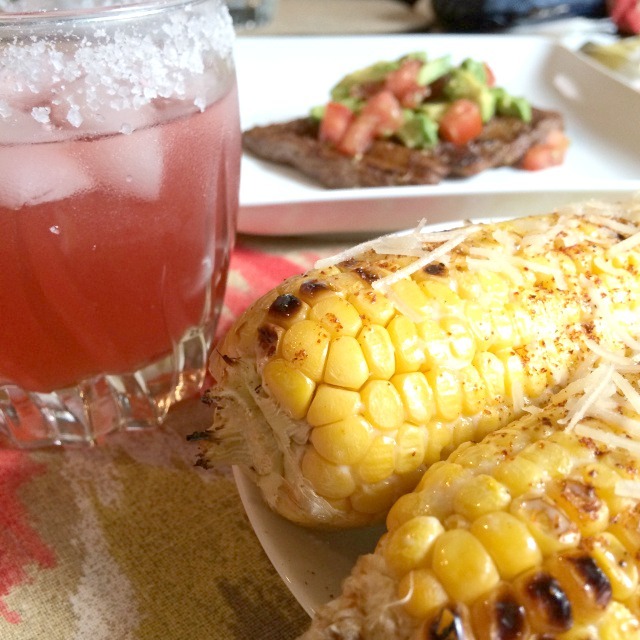 I wanted the cuisine to complement the refreshing concoction, so we grilled some summer staples and added a Mexican twist. 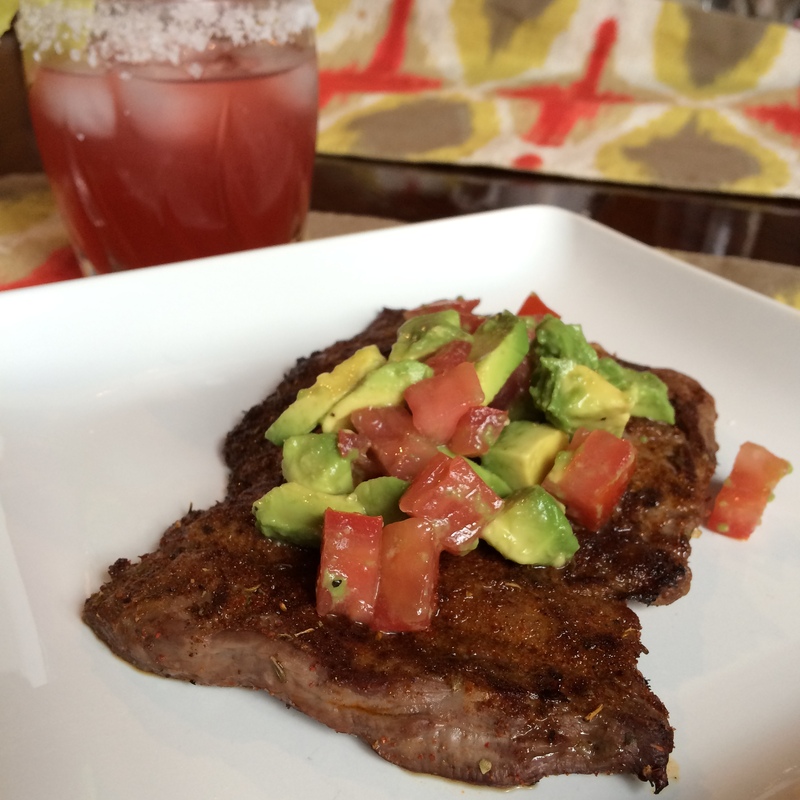 We grilled a seasoned skirt steak, which was then topped with an avocado salsa. For a side, I spiced up classic corn on the cob by seasoning it with chili powder and sprinkling it with cotija cheese. I had tasted this traditional Mexican street corn at a restaurant here in Vegas and decided to recreate the deliciousness. The buttery, flavorful corn made for a sensational side. 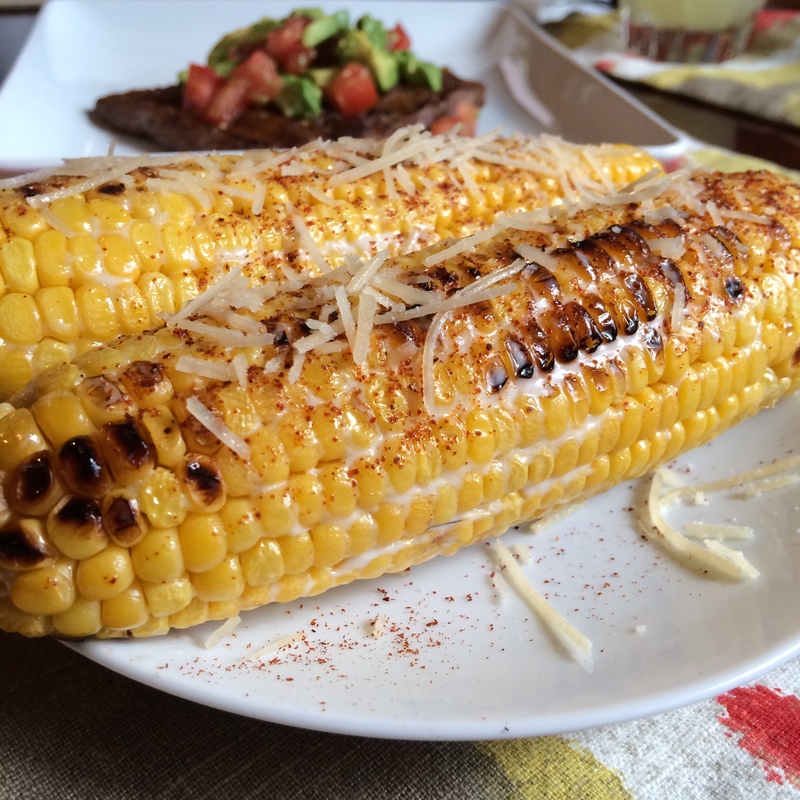 Grill corn until hot and lightly charred, 7 to 10 minutes. Use a basting brush to coat corn with melted butter and mayonnaise. Sprinkle with cotija cheese, lime juice and chili powder. Mix all of the steak seasonings together and rub on the steaks about 1 hour before grilling, covering well and storing in refrigerator. Grill for about 4 minutes, then flip and cook for an additional 4-6 minutes, until steak reaches desired doneness. 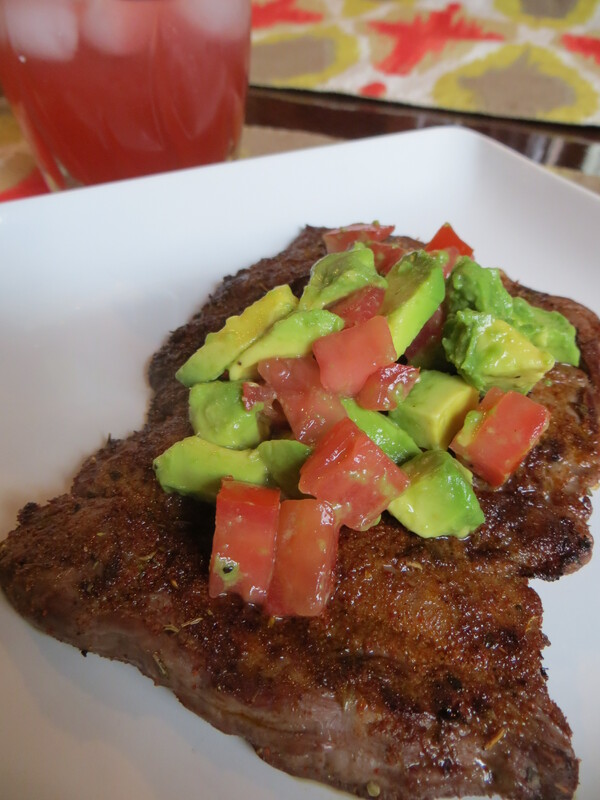 To make the salsa, mix the salsa ingredients together in a bowl and serve on top of the steak. In honor of #TBT, I’m finally sharing this post I wrote in February, but never completely finished. I came across it in my drafts and decided to add the finishing touches because this is still one of my favorite neighborhood restaurants. We have been back multiple times since our initial visit and enjoy taking out of town guests there because all of the menu items are fresh, unique and delicious! It was love at first bite. I had been wanting to try Lulu’s Bread and Breakfast for a while now and decided to check it out with my parents while they were in town (Las Vegas). 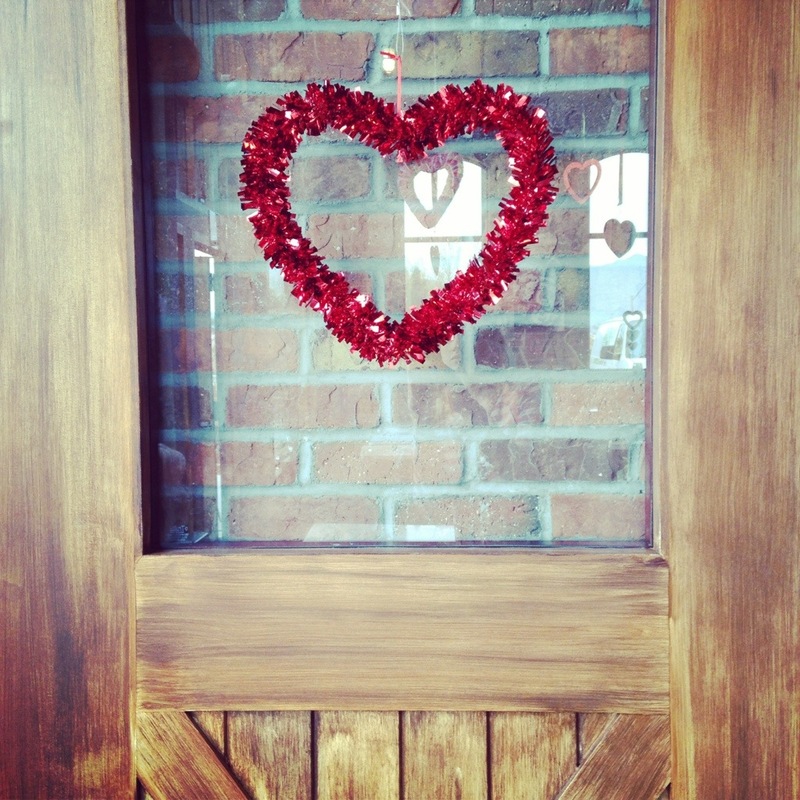 The country chic restaurant, open for breakfast and lunch, was beautifully decorated for Valentine’s Day, so love was already in the air before checking out the mouthwatering menu. We started with the cinnamon roll “appetizer.” It tastes as good as it looks. No skimping on the cream cheese frosting here! The roll itself is more of a croissant than the usual doughy cinnamon roll, which made for a nice texture. 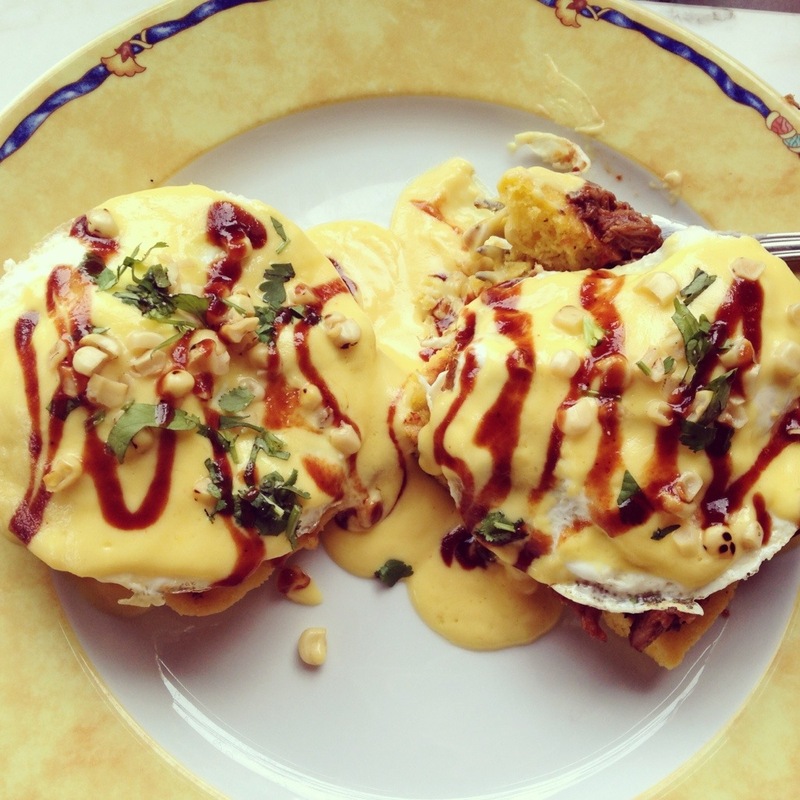 My Dad got the Benicio Del Porko, a unique take on Eggs Benedict made with corn bread, pulled pork, poached egg and barbecue and hollandaise sauces. The corn bread was an amazing addition! I’m glad I waited to write this post because this dish was named the “Best Benedict” in Las Vegas Weekly‘s Best of Vegas 2014 issue this week. 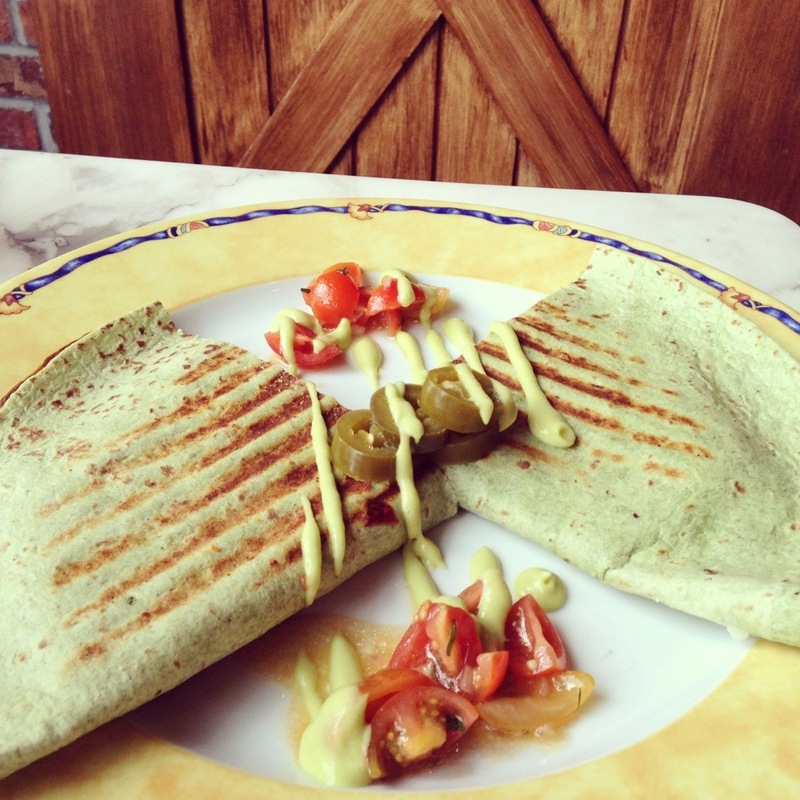 I had the “New Year’s Resolution,” aptly named since it is a healthier menu item made with egg whites and a spinach tortilla. Since this first visit we have tried the S.O.B (egg sandwich with chicken chorizo, green chiles, avocado and cotija cheese), grilled cheese made with brie and apricot preserve, sweet potato hash and Captain America (egg sandwich with sausage, ham and white cheddar), which were all delicious. 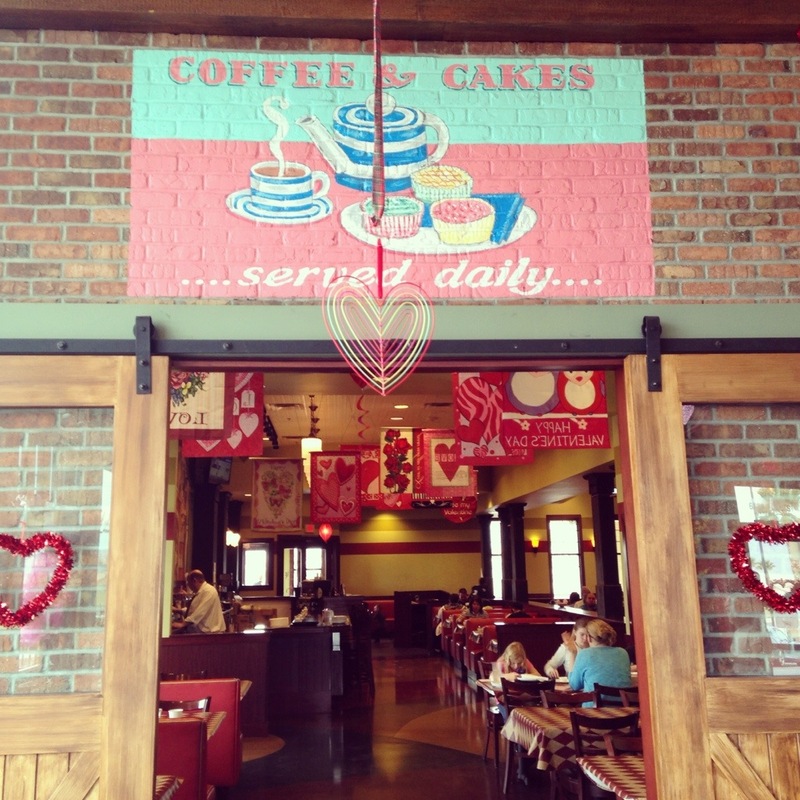 In addition to the great food, I also love the decorations and casual atmosphere. 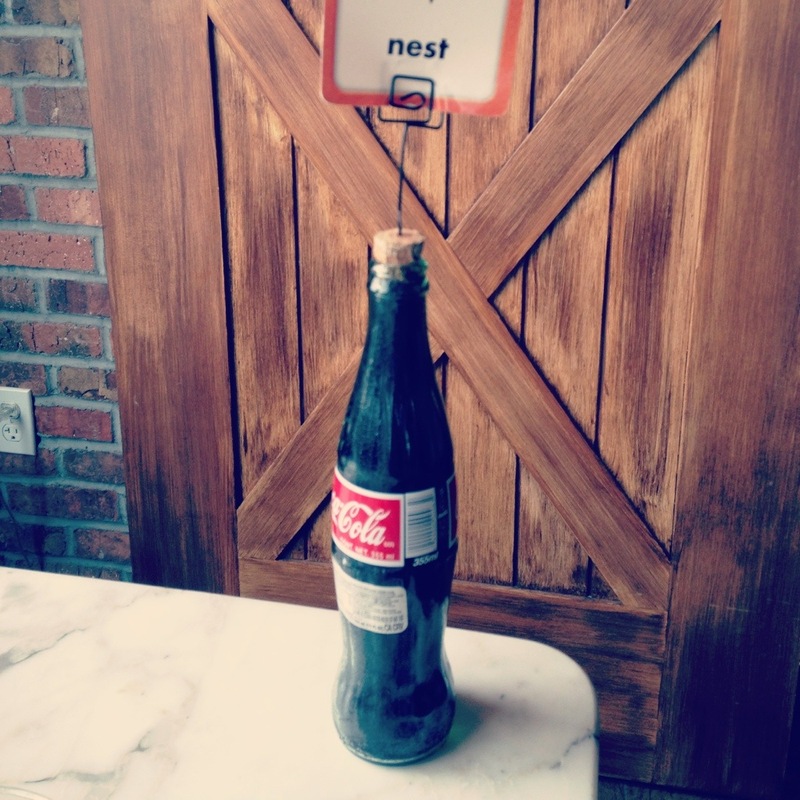 Instead of a boring table number, they give you a unique card (we got “nest”) to put in the Coca-Cola holder. It added a fun, quirky touch. We enjoy sitting outside on the patio, which you can do most of the year being in Vegas. Definitely a restaurant worth trying next time you are in town! 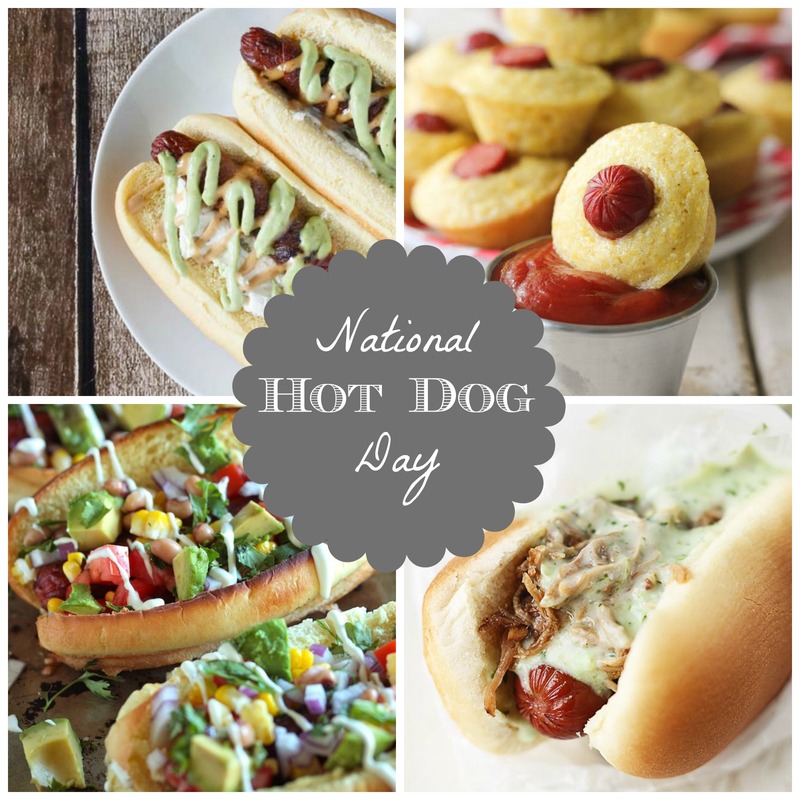 I think it’s fitting that National Hot Dog Day falls in July. 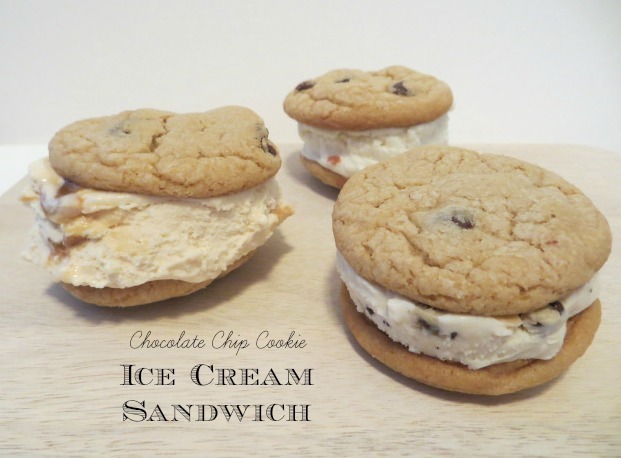 Whether they are enjoyed at the ball park or around a camp fire, these popular eats seem like the epitome of summer (in addition to ice cream and s’mores, of course). Even though hot dogs seem like a seasonal dish, when I was little they were a year-round staple. I remember Thanksgiving dinners as a kid when my mom would bring hot dogs for my sister and I because we were such picky eaters. I don’t know what happened because now I am very adventurous and enjoy trying new cuisines. Who would have thought that the kid chowing down on microwaved hot dogs would have tried (and liked!) calamari and carpaccio?! Back then I stuck to ketchup (not even mustard!) as a classic condiment, but now these unique creations make my mouth water! I can’t wait to spice up our next backyard barbecue with these tasty treats. 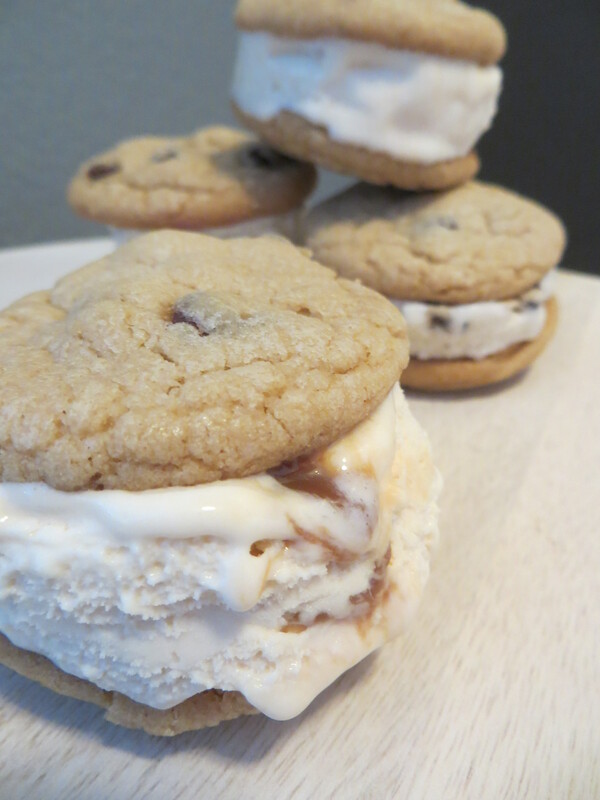 With temperatures in the 100’s my favorite dessert to make right now is ice cream! We got an ice cream maker for Christmas and have been putting it to good use making delicious flavors such as chocolate Thin Mint and brown sugar bourbon. 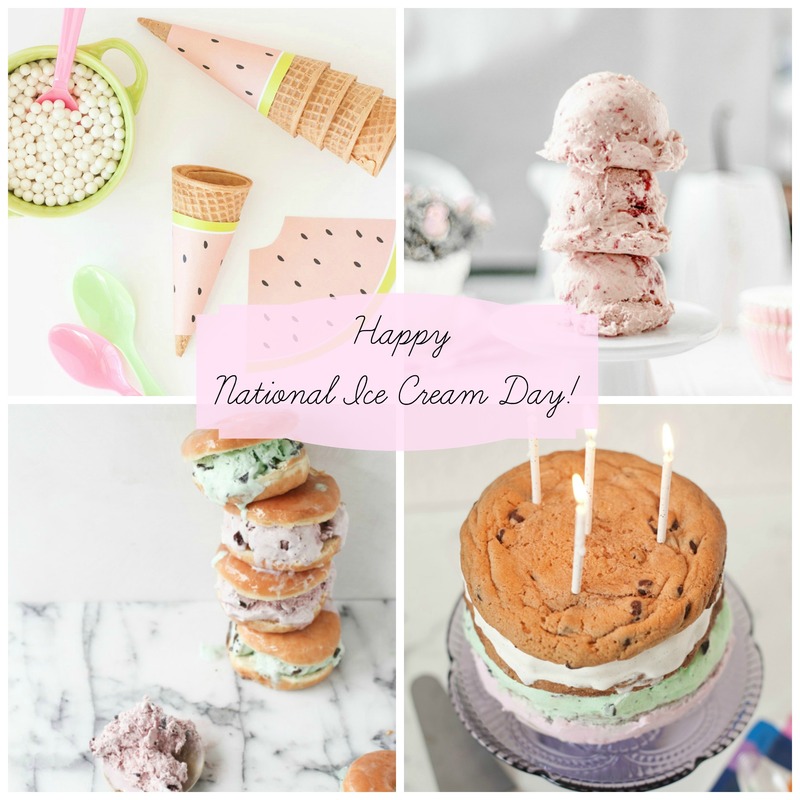 I’m always looking for new combinations to try, so with July being National Ice Cream Month and today being National Ice Cream Day, I thought it was fitting to share some recipes that I can’t wait to whip up! Calories don’t count on holidays, right? 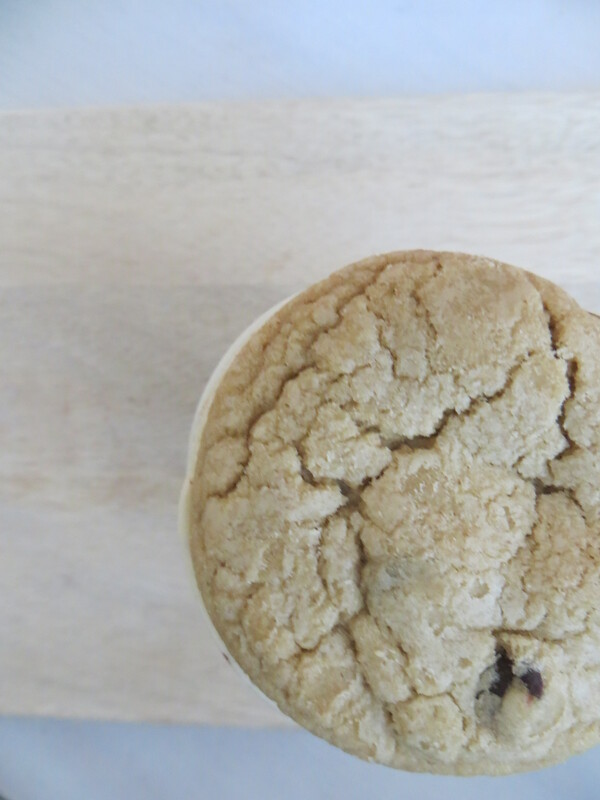 Looks like July is a free pass for these tasty treats! Rob loves snacking on chips and salsa, so when we bought a food processor the first thing he made was tomatillo avocado salsa. 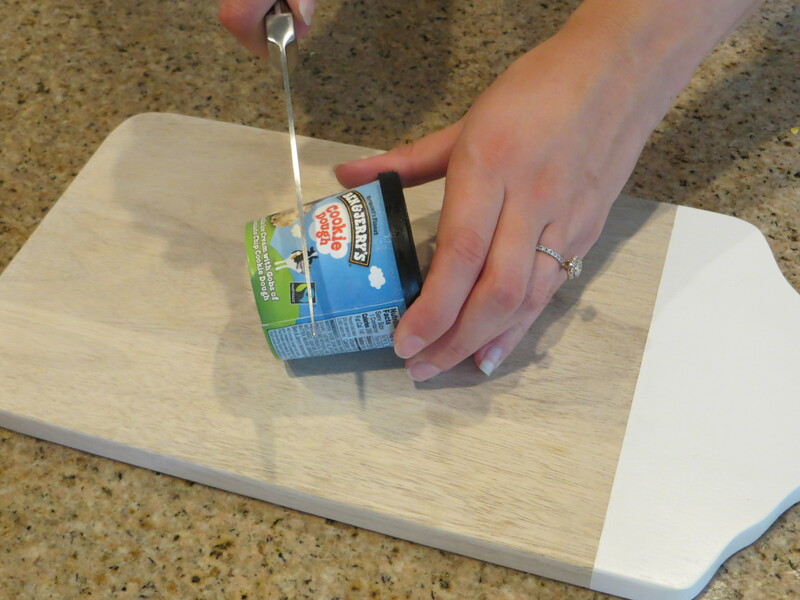 We loved it as the fresh ingredients make it stand out from store-bought dips. 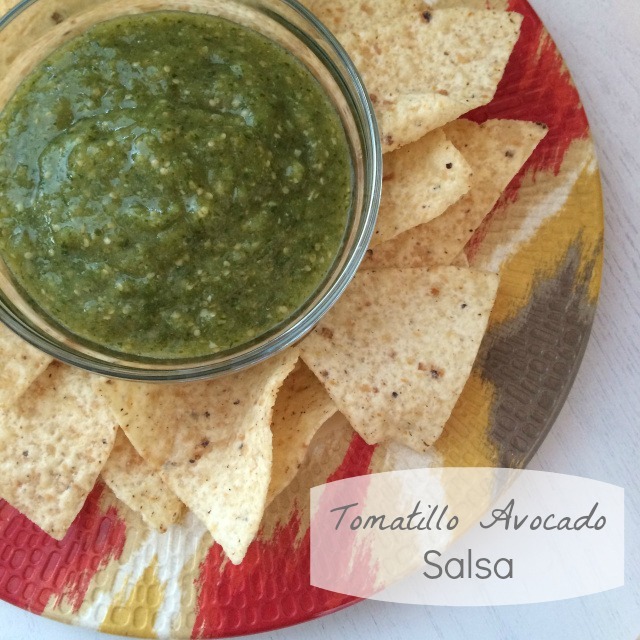 It’s the perfect combination of salsa and guacamole with just enough spice. Pair it with a refreshing margarita and you’ve got a flavorful fiesta! Preheat oven to 450F. On baking sheet covered with foil, place the tomatillo halves, seed-side down, jalapeño and garlic. Cook (or broil) for about 10 minutes, until tomatillos and softened and slightly charred. Let cool. Add tomatillos, garlic, jalapeño, onion, cilantro and scooped avocado to a food processor. Pulse until smooth.